Let me just start with saying OH MY GOD!!!! Yes GOD! Because this food would not be possible without God. Please bless the cooks that prepared the amazingly delicious food. 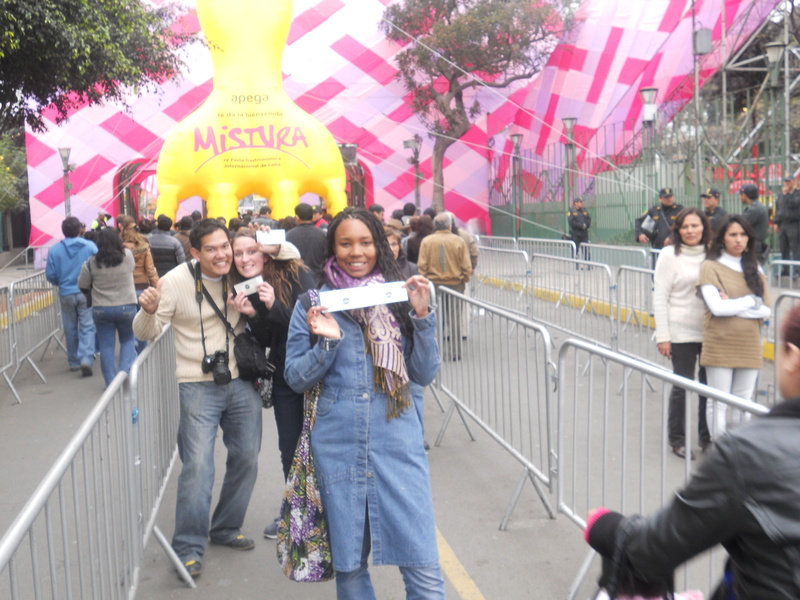 After patiently waiting in line for about 45 minutes or so, Matthew, Holly, Percy and I had our tickets to Mistura and we were on our way in. Holly is a fellow English teacher from Britain and also mi nuevo amiga, and Percy is her Peruvian fiance who is also part Chinese. So we had a quite the multicultural group I must say. Try not to eat at any restaurants from Lima – we can try them later. Eat as much different types of food as possible – purchasing 1/2 portions and sharing among us. (full portions are S/.12 and half are S/.6 soles. Holly did her research and found that Chanco Al Palo was supposed to be the best thing there and could possibly have the longest line about 2 hrs. I was told to try Panchamanca which is food cooked in dirt.. lol no I just love the way that sounds it’s food that is cooked under ground. We decided on buying 5 S/.12 tickets each for the day of binging. And we’re off but where do we start where is this divine Chanco Al Palo. Of course the maps haven’t arrived yet and someone kindly directed us to the area and told us to start there first. Percy and Matthew waited in line as Holly and I began our hunt for other food. But there were so many options, I mean there was pig spread out being roasted on grill that was spun, pigs in box with coals on top, pork cooked in the grown, fried pork, grilled pork, and more.. I sound like Forrest Gump here, but I mean seriously. 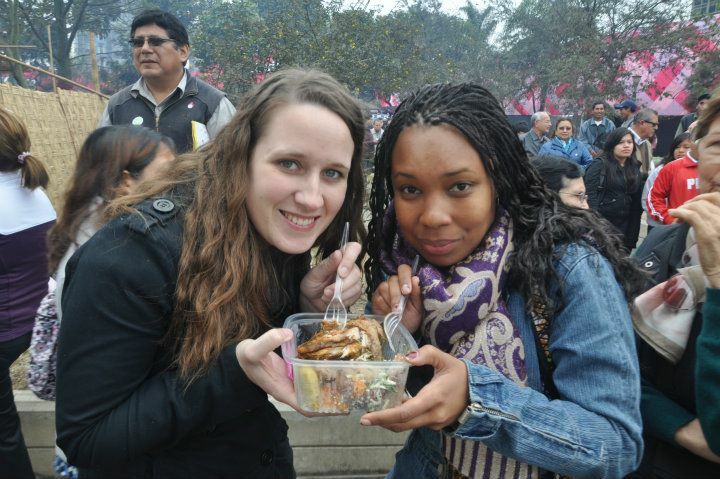 Of course there were other things too like, Chifa, Sopa de Cameron from Arequipa, duck, tons of chicken, chorizo, cuy, and more, and more, and more…. Then of course there was the food market with all different types of potatoes, honey, nectar and fruit. 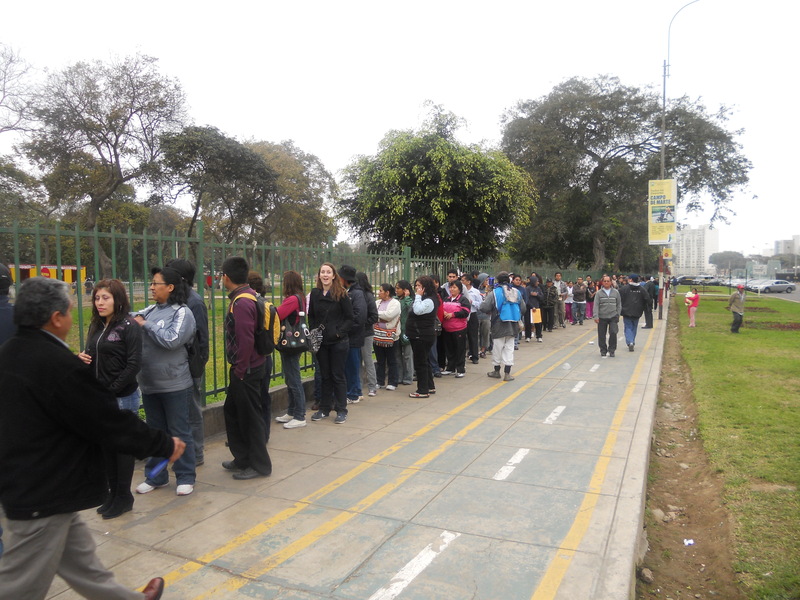 We decided to wait in the line for Panchamanca! Then I got a call from Matthew – he wasn’t feeling well and had to leave =(. He didn’t get to try any of the food. I picked up a bag of bread for him later since he really likes bread. The Panchamanca was my absolute favorite. Hi Jessica! no problem feel free to ask away! I guess the biggest questions is why/how did you choose Peru? What are your thoughts so far?